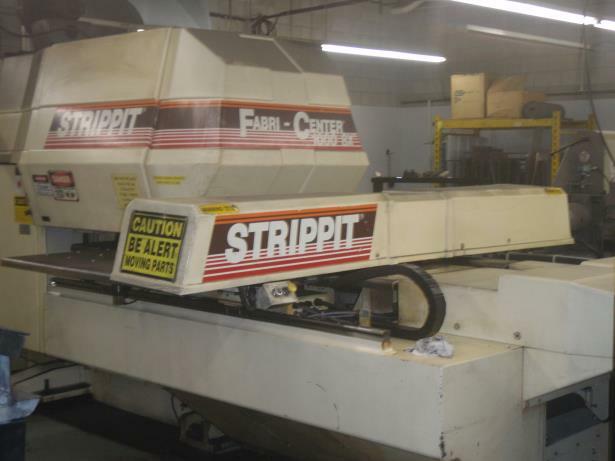 Strippit Machines & Tooling For-Sale ! 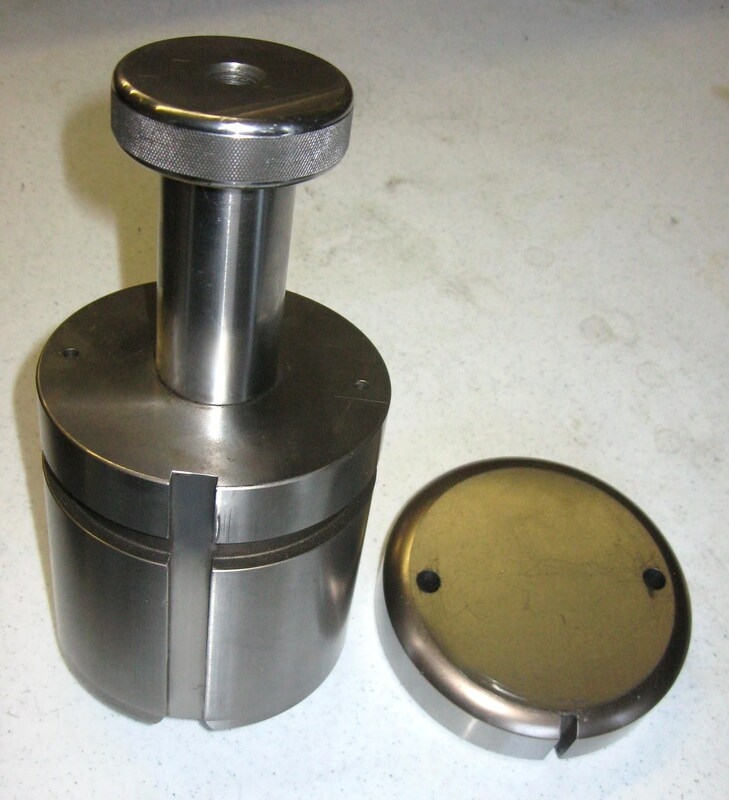 This Page is for Machines & Tooling that Machine Technologies & Associates have For-Sale. 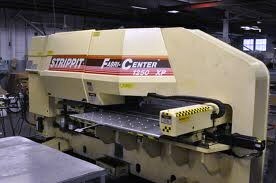 And for Our Customers to List Strippit Machines that They Want to Buy & Sell. Please Call for Information on Listing Your Machine "FOR SALE" Here! --- No Special Foundation is Needed! Just Set on your floor, and level the 4 corners. Large Circles, Curves, and Angles at 390 punches per minute! --- Sheet Size is 30" x 40" , can handle sheets up to 38" x 100"
These are used to put 1 1/4" Tools in 3 1/2" Stations. This is the solution for those older machines without Auto-Index stations. 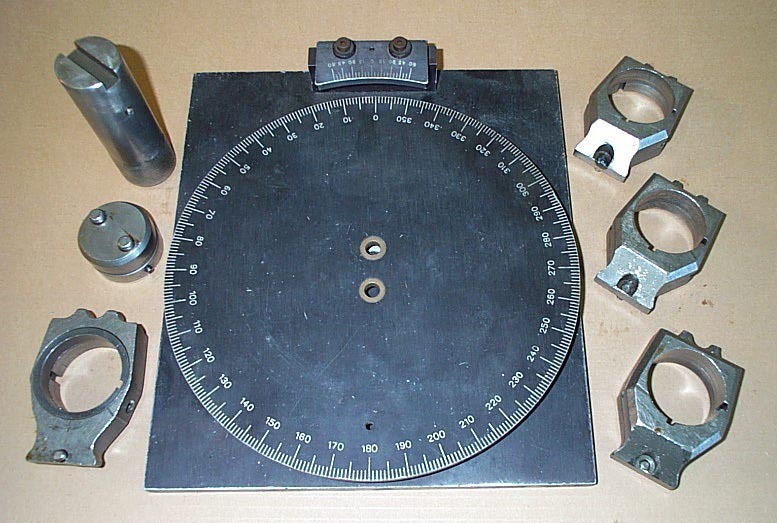 4 Strippit #200300-100 1 1/4" Indexable die bases, #200596-000 Accudex Index fixture, and #200293-000 1 1/4" Alignment tool-set. There is a index-ring on bottom of each die base. 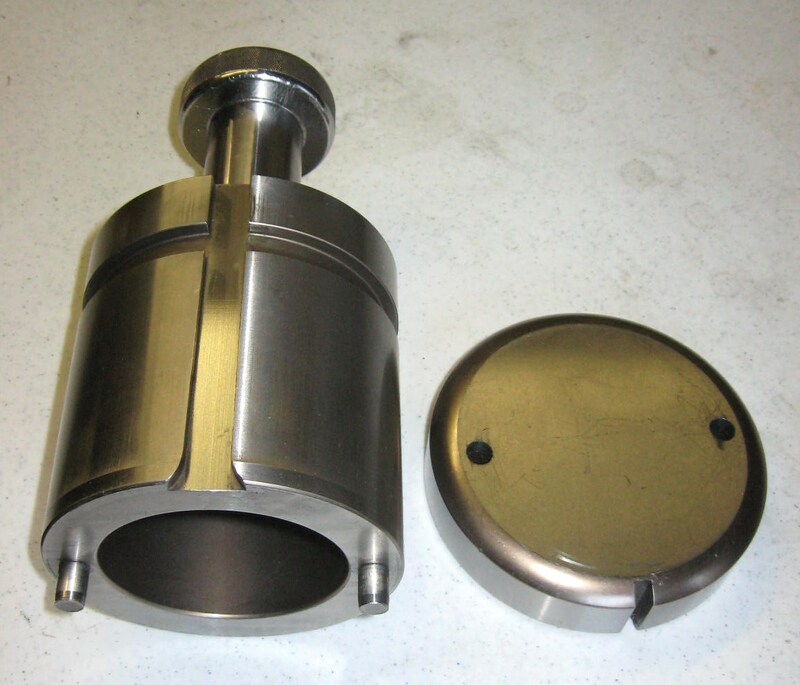 You set it to degree you want with fixture, then using alignment tool, set the upper turret bushing to match. New prices for all this was over $3500 from Strippit. Take it all for $700.00! 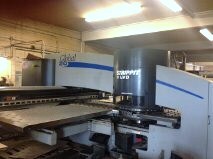 More Strippit Machines & Tooling for Sale! Get YOUR Machine Model # & Serial # BEFORE You Call! A Unique Set of Tools. 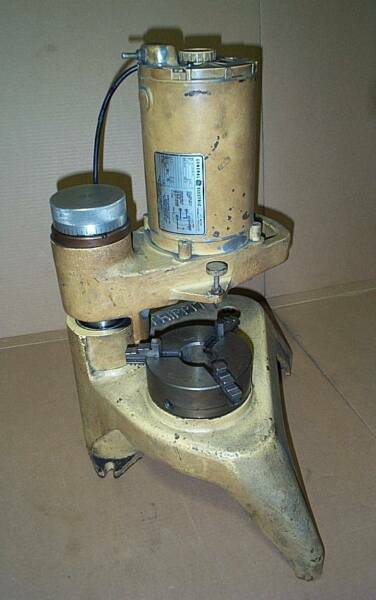 Brand-New Strippit, and Very Rare, #90692-000 3 1/2" Indexing Line-Up Tool. and also Set-Up a Indexable Die Base, as It is Etched in Degree Increments! 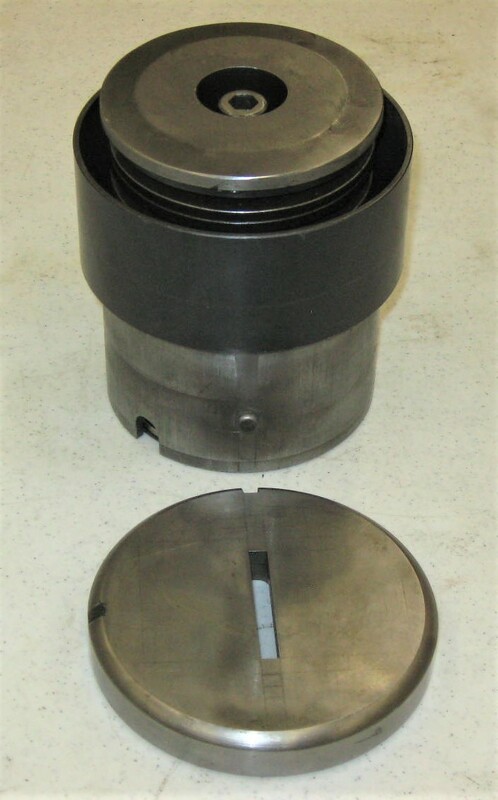 And a Good Used #90698-000 Indexable 3 1/2" Die Base. This is How we Set Punch & Dies to Angles on Machines Without Auto-Index. We have More of these Bases Available. 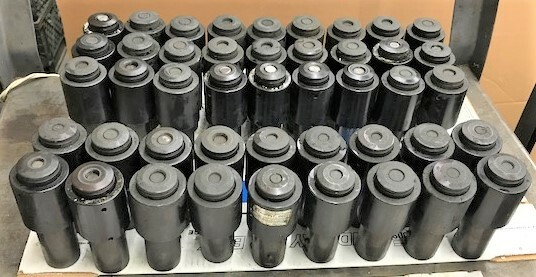 These are used on following Strippit Machines; T-SAF, FC75/30, FC750, FC1000/1, FC1000/2, FC1000/3, FC1250/30/1500, FC1250/45, 630R, and 1000R. Line-Up Tool Cost $1600 New & Die-Base $3500 New = $5100. Take Both for $600.00 !!! 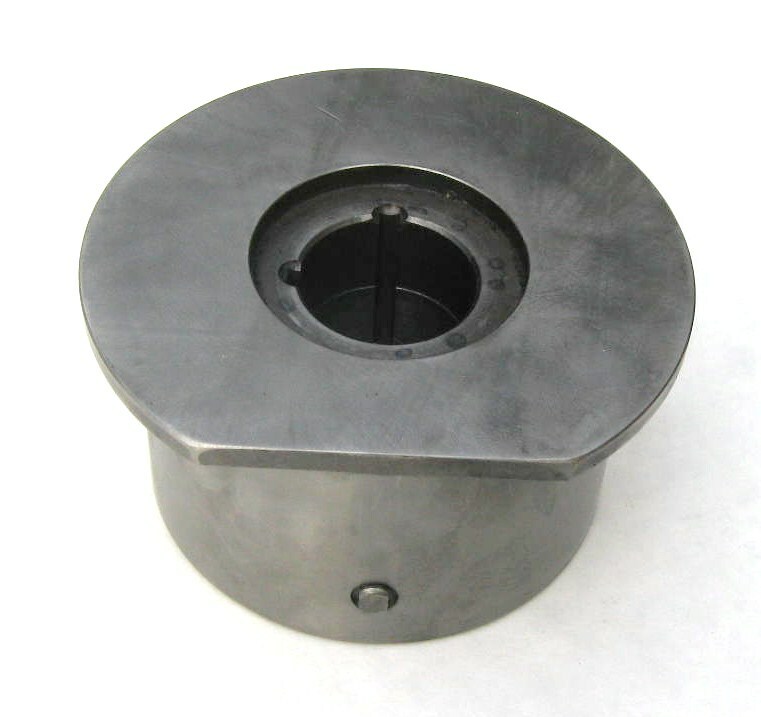 Indexable 1 1/4" Die Base. This is How we Set Punch & Dies to Angles on Older Machines without Auto-Index. These are used on following Strippit Machines; T-SAF, FC75/30, 630R, FC750, FC750/2, FC1000/1, FC1000/2, FC1000/3, 1000R, FC1250/30/1500, FC1250/45. that are Etched with Degrees. does Not have Degree Etching. This is How we Set Punch & Dies to Angles on Machines without Auto-Index. 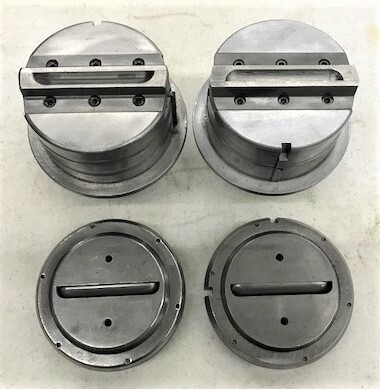 These are used on Strippit Machines; T-SAF, FC75/30, FC750, FC750/2, FC1000/1, FC1000/2, FC1000/3, FC1250/30/1500, FC1250/45, 630R, & 1000R. and All Holders come with the Required Head-Nut. 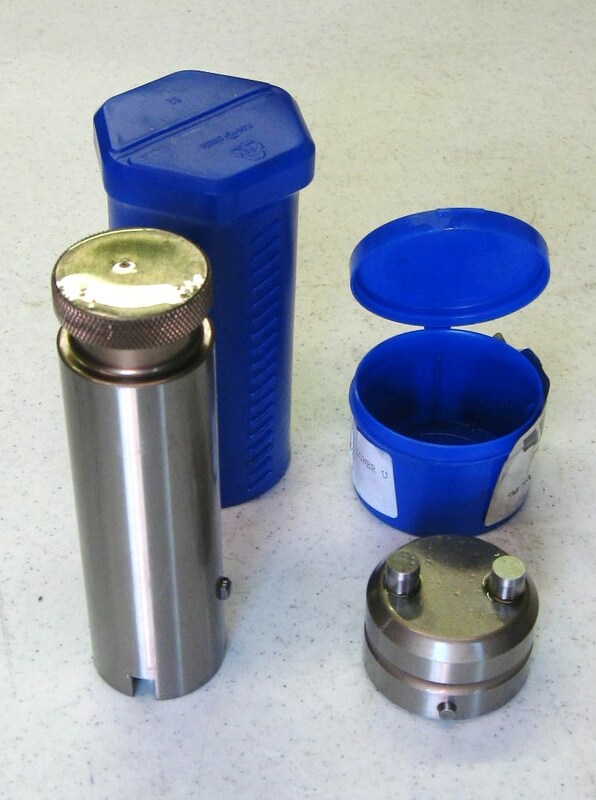 The Perfect Way to use your 1/2" & 5/8" Shank-Diameter Tooling! 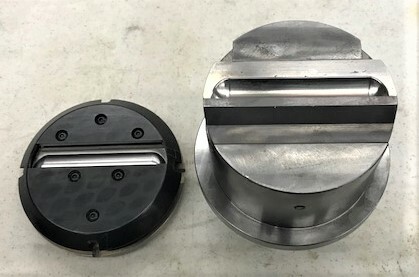 0 & 270 Degree Slot Die Holder. that came in all Strippit Turret Machines for Many Years. Strippit Gets Over $300.00 each for these! I have 5 Brand-New Holders Left for only $150.00 each. 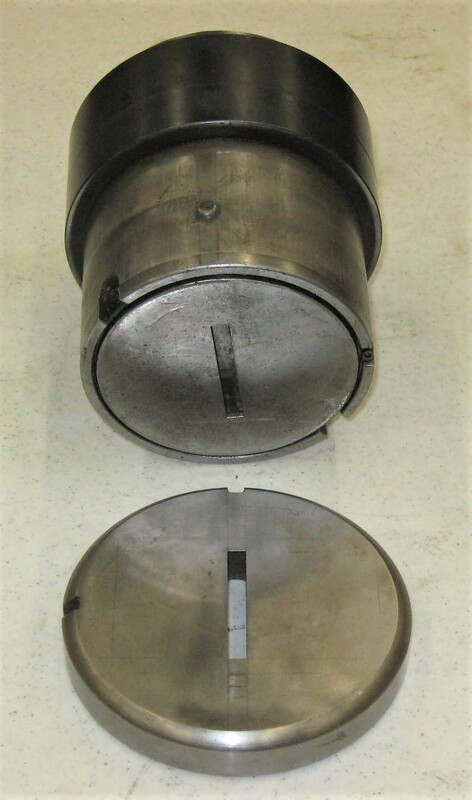 Good-Used Strippit #83603-000 Standard 0 & 270 (0 & 90) Degree-Slot 1 1/4" Die Holders. 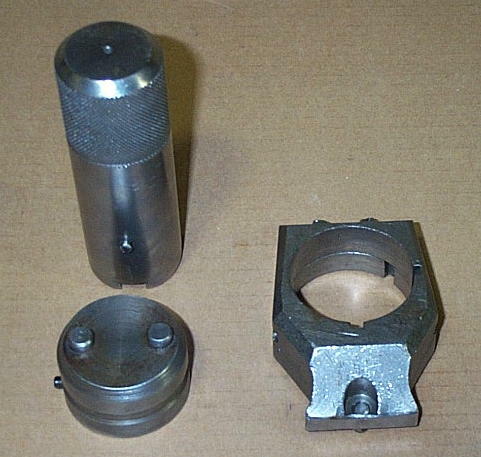 These are The Standard Die Holders that came in all Strippit Turret Machines for Years. 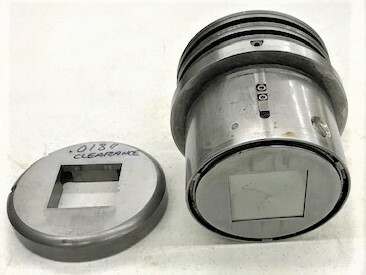 With 2 Brand-New Vlier Pins Installed that Lock-In the Die. New-Cost is Over $300 Each! 2 New Vlier Pins Installed. New-Cost is Over $300 Each. 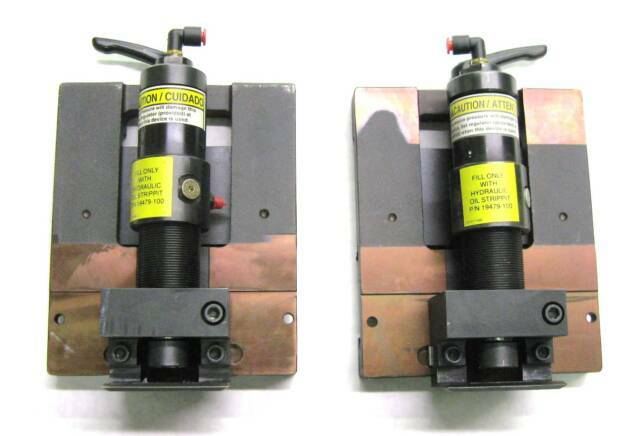 We Stock Thousands of New Machine & Control Repair Parts. 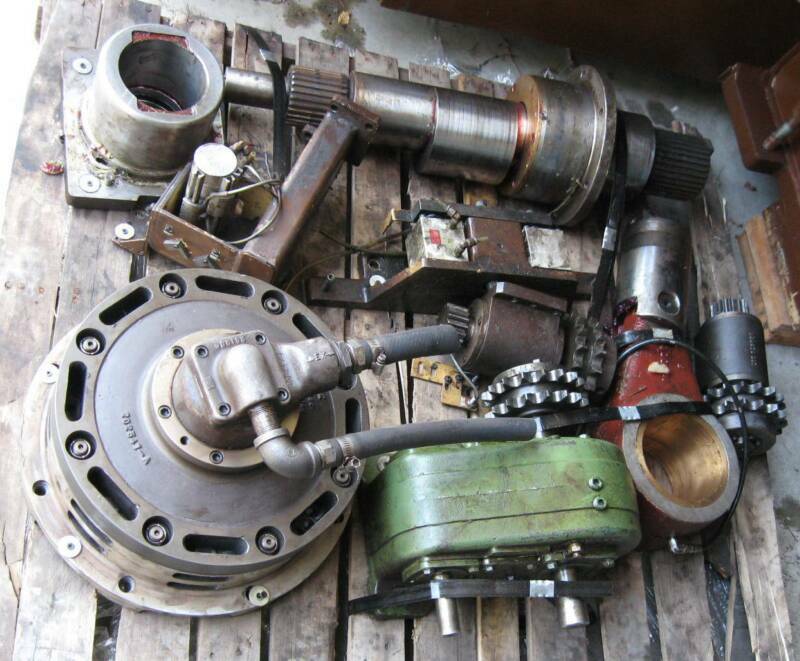 "Heavy" Repair Parts from these Used Machines. 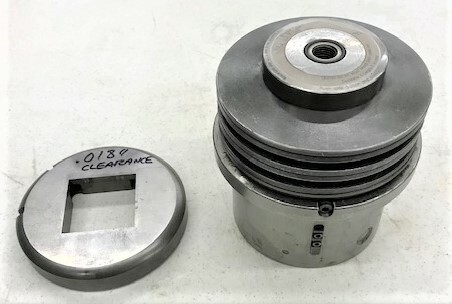 Parts like; Crankshafts, Clutches, Brakes, Turret Gearboxes, Turret Sub-Assemblies, Flywheels, Pitman's, Rams, Ram-Housings, Bearing Quills, Machined Castings, Etc. Call us on what you need! 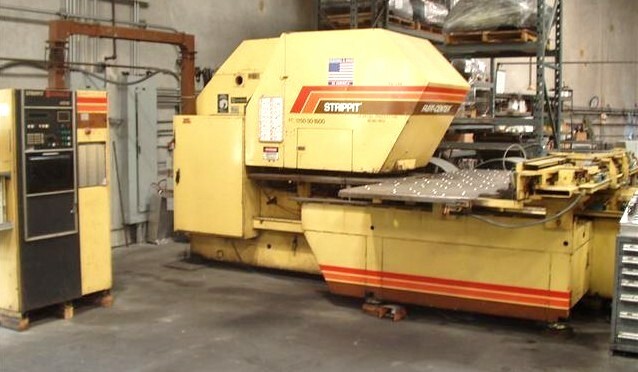 Machine Technologies is pleased to offer this Strippit FC1250/30/1500 which we Installed in a Southern California Shop, and has been Exceptionally Well Maintained by a Smart Customer. --- No Special Foundation is Needed! Has Steel-Plates to Lag-Down to Your Floor. 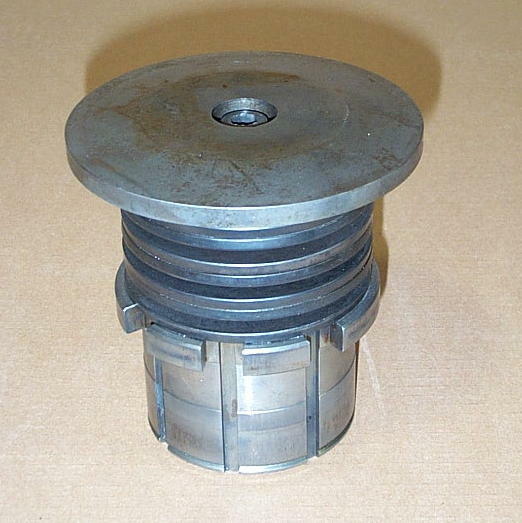 --- 30 Ton Punching-Capacity, up to 3/8 Inch Steel. 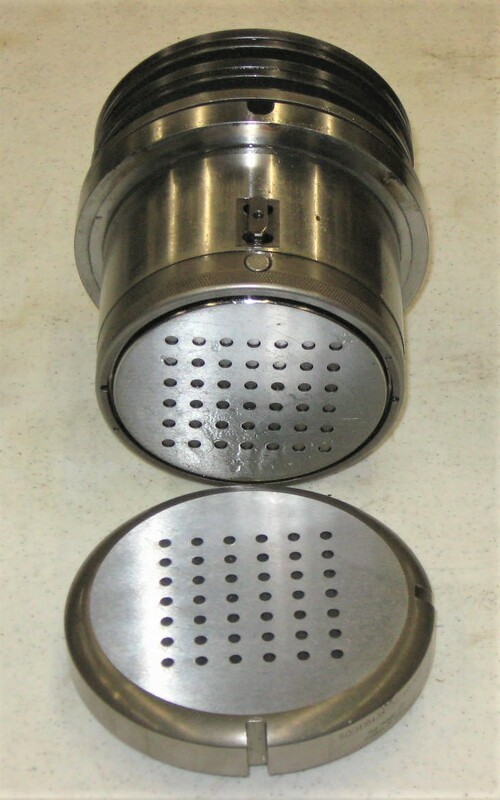 --- 20 Station Turret, 1 --- 2"x2" Notch-Station, 3 --- 3 1/2" & 16 --- 1 1/4" Stations. 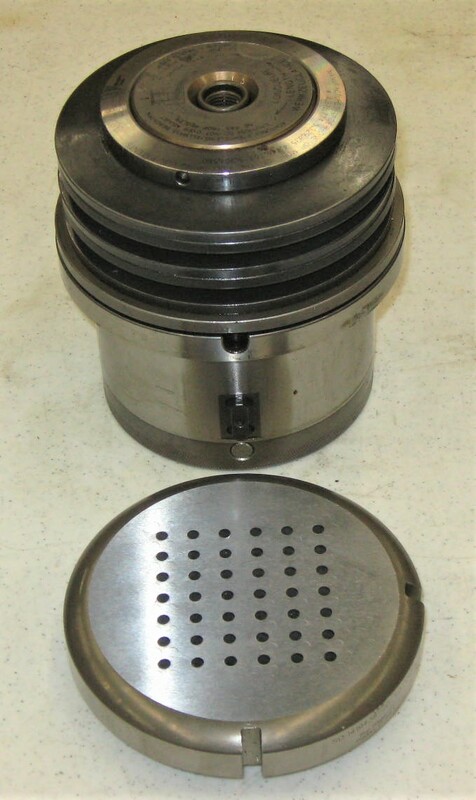 --- Up to 2000 inch per minute table movement speed. --- 180 Punches per minute on 1 inch centerlines. --- Contour-Nibbles Large Circles, Curves, and Angles at 390 punches per minute! ,which is Included, for Downloading Part-Program Files. Turret-Position, Part-Program Code, Normal & Abnormal Machine Status. --- Runs on 240 or 480 A.C. Volt 3-Phase Power. 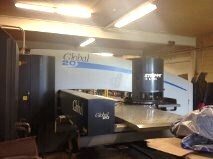 and 60" Wide-Sheets on the 1250 Machines. You just Slide Workclamps onto Machine & Hook-Up Air Hoses to Install. What Your Mom Always Told You! "Don't Give Machine Guns To Monkeys!" 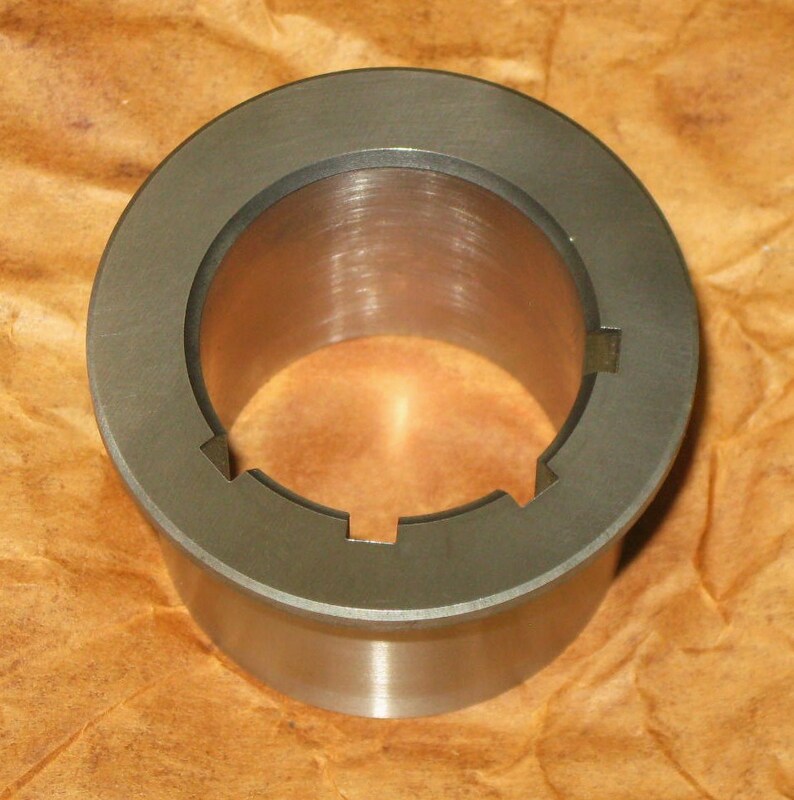 to make more Rigid without having to use thicker-metal. This is a Clean Lightly Used Machine, Look at Machine Covers Around the Turret Area. Covers with Part-Sheets as they Load & Unload Machine. Not this Machine. I have always considered the S-Machines to be The Best Machine Strippit Ever Built. 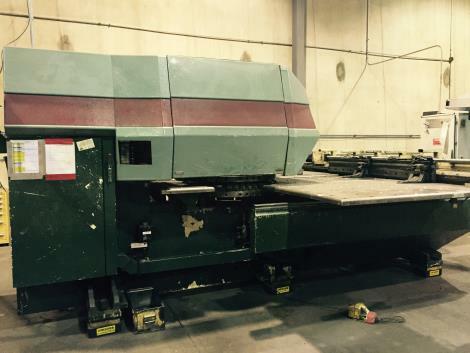 PRICE FOR 1250S MACHINE & INSTALLATION & TRAINING & WARRENTY IS $59,900. THOUSANDS LESS THAN OTHER DEALERS WITHOUT INSTALLATION & WARRENTY! Turns Your Auto-Index Station into a 8-Station Mini-Turret. -- Maximum Sheet Size with Progressive-Move: 40” x 120"
-- Maximum Sheet Size, Prog-Move & Short Workclamps: 50" x 120"
-- 2000 Watt Rofin-Sinar Laser with Chiller & Exhaust. 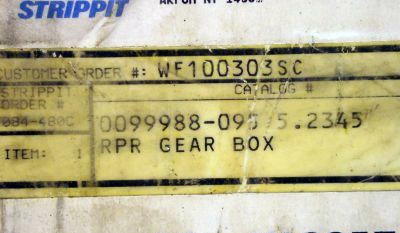 Part-Sheets as they Load & Unload Machine. Not This Machine! I have always considered the S-Machines to be The Best Machines Strippit Ever Built. IS $32,000 ! WHICH IS THOUSANDS LESS THAN OTHER DEALERS WITHOUT INSTALLATION! "Click-ON" Alignment Procedures Below for Proper-Use of Alignment Tools! -- Maximum Sheet Size with Progressive-Move: 50” x 120"
-- Maximum Sheet Size, Prog-Move & Short Workclamps: 60" x 120"
-- Maximum Sheet Size with Progressive-Move: 50” x 196"
-- Maximum Sheet Size, Prog-Move & Short Workclamps: 60" x 196"
-- Finished Part Accuracy .004"
4 -- LARGE 3 1/2" AUTO-INDEX STATIONS! -- 7 Cabinets Full Of Tooling!!! Cabinets are Not Included. -- Professional INSTALLATION AND TRAINING is Available. This is the Nicest Used Super 30/30 I have ever seen! And that is because your Government Owned it on a Army Base, but hardly ever used it. Late-Model built in 1995, and is in Excellent Condition. 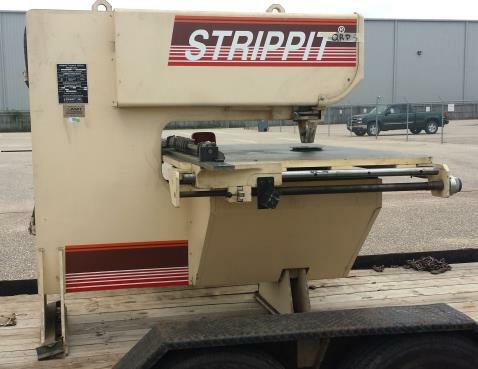 Strippit Rates Machine at 30" Throat, 30 Ton Punching Force, at up to 1/4" Material. a Super 30/30, Act Fast as it will Not last Long, because you will Never find a Nicer Machine and Tooling than this Machine. Price is $6000. 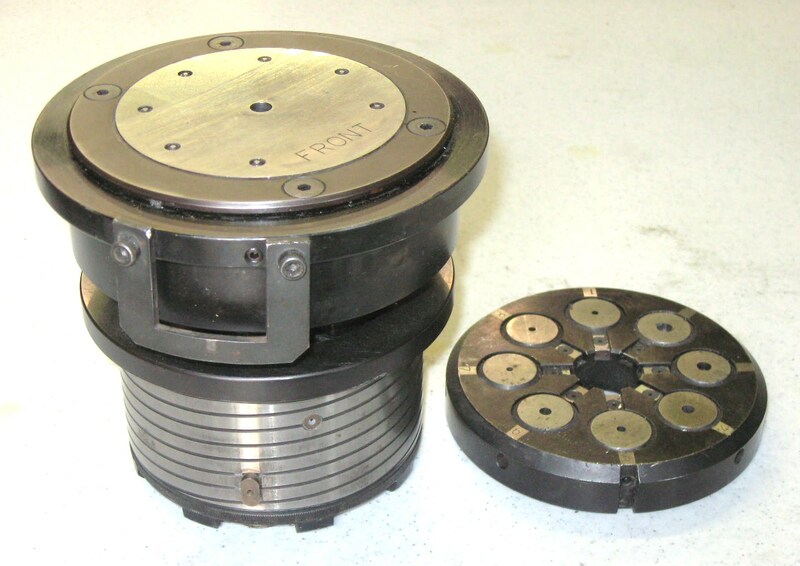 for Machine & Tooling Loaded-for-Free on your Truck! --- Easy Install on Included Mounting-Pads, No Special Foundation needed! 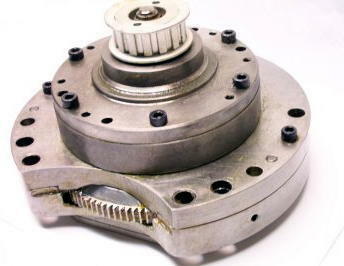 --- Hydraulic Clutch & Brake Unit, Machine uses almost No Compressed Air! 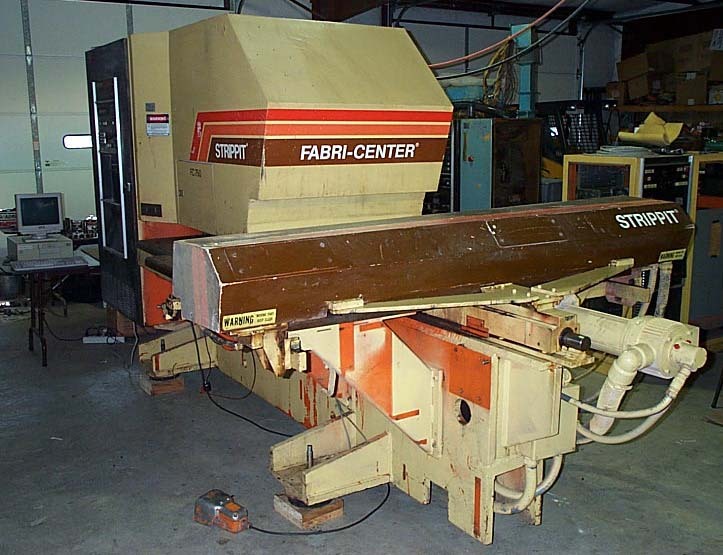 --- Machine is Under Power, in Good Running Condition, and Still in Production in N.C.
--- PRICED FOR A QUICK-SALE!!! THIS HEAVY-DUTY 1250S MACHINE is ONLY $25,000 !!! as it's ugly because of Poor Paint Job Customer applied, and we need Floor Space! --- A Prettier 1250S we had, Shown Lower-Down on This Web-Page, was Sold for $59,000! --- INSTALLATION AND TRAINING is Available. 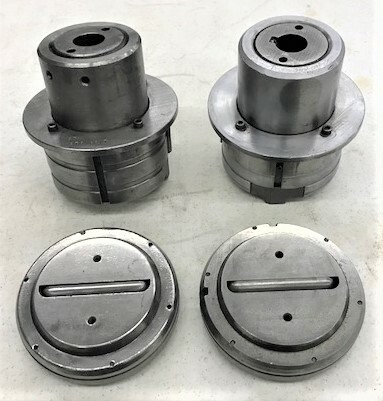 Top-Flange Widths 2.375" & 2.437"
--- Asking Price for Machine and Tooling is $21,500. --- Call Kirk McDowell 602-258-7330 for More Details. 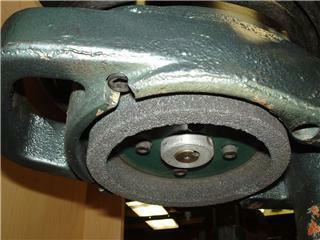 you will need New Grinding Wheels from Time to Time. and use a Very Weak Binder-Glue, so they are "Soft" and "Wear-Out" Very Fast! 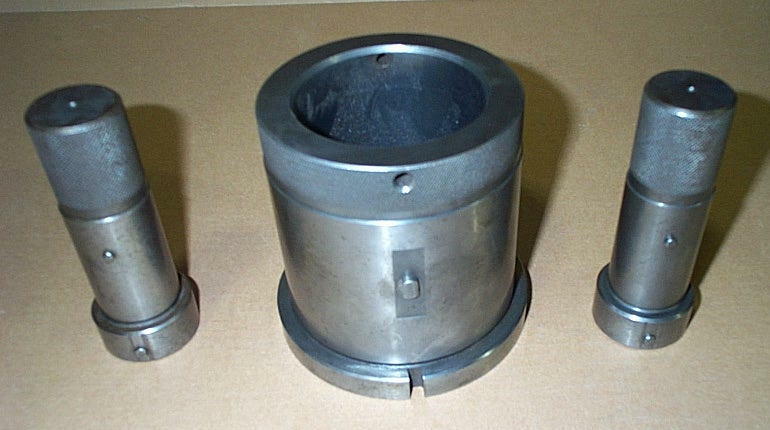 The Original #12359-000 Grinding Wheels In-Stock! 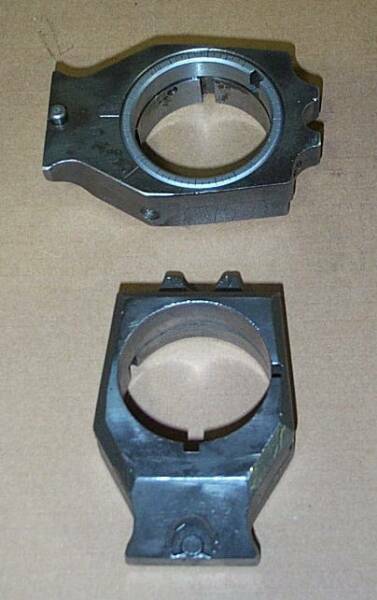 I am Selling You the 3 1/2" Stripping-Guide Punch-Holder Assembly Here. 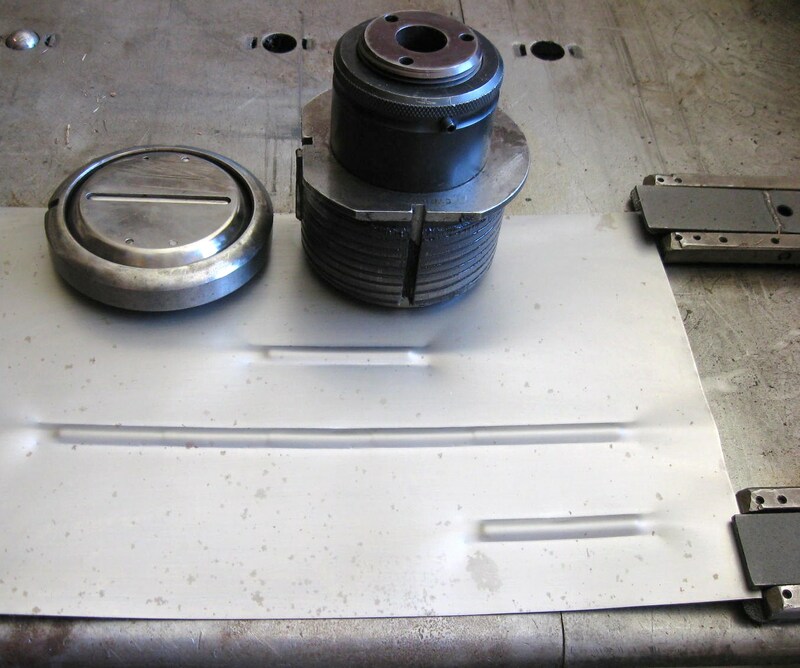 The Installed Punch-Tool & Die & Stripper-Plate are Free Extra Add-Ons! 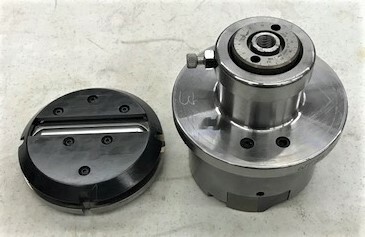 Special 3 1/2 Inch Stripping-Guide Punch-Holder Assembly. but is Made to take Any Special Wilson Punch Tool. 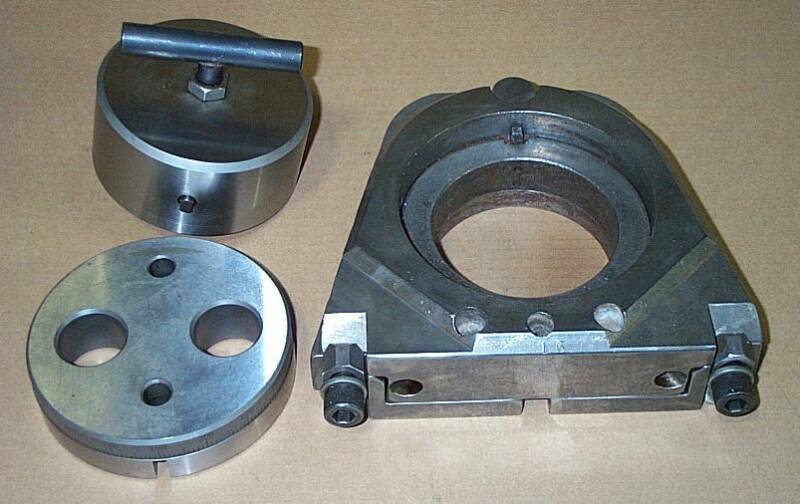 The Installed Punch-Tool & Die & Stripper-Plate are Free Extra Add-On's! --- Quick-Release No-Tools Stripper-Plate Release! 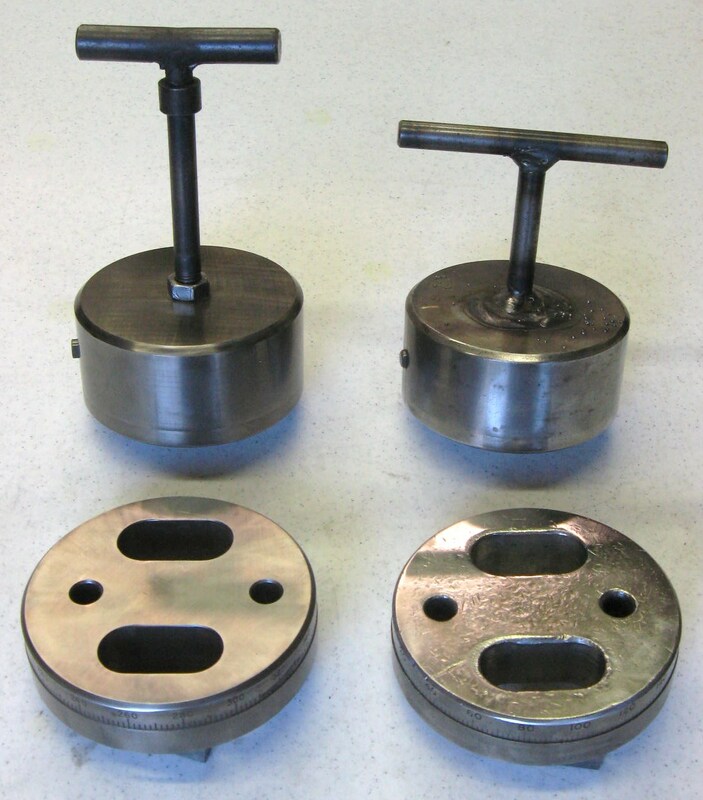 Any Installed Punch-Tool & Stripper-Plate & any Dies are Free Extra Add-Ons! Wilson 4" x 1" Louver Tool Set In New Never-Used Condition!!! Take BOTH SETS (All 4-Pieces) for 1-Money $350.00! The Installed 2" x 2" Punch-Tool & Die & Stripper-Plate are Free Extra Add-ons!